This course is a specifically designed programme that helps educationists, heads of academic institutions and other education administrative professionals to learn the skill of managing learning institutions by utilising the available resources in creative ways and to realize their potential to yield the best results for an academic institution. This program provides the candidates with sufficient insights and know-how of how to be a value add member within the middle-tier administration and management team of a professional educational institution. This continual professional development (CPD) Award is ideal for Heads and Assistant head of schools/learning institutions, teachers and other individuals who aspire to take an administration role within a school or a learning institution. A CPD Award accredited with 4 ECTS credits (MQF Level 5) by the National Commission for Further and Higher Education (NCFHE) in Education Administration and Management will be presented to delegates who successfully attend all modules and obtain a minimum pass in the final assignment (25% of final grade) and 3 hour examination (75%). This course is made up of 11 evening sessions (16:30 to 19:30) split between 24th May and 2nd August 2019. Dr Kenneth Vella is the headmaster of Mater Boni Consilii – St Joseph Girls Primary and Secondary School, Paola. 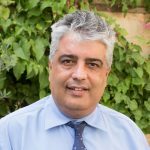 After having obtained his Bachelor Degrees in Education, Post Graduate Diploma in Education (Administration and Management) and Master in Education (Educational Leadership) from the University of Malta, he successfully completed in 2015 his doctorate in Educational Research and Development with the University of Lincoln, UK. His study analysed leadership progression in Maltese schools, with emphasis on Church secondary institutions in a context of enclosed succession. Vella has jointly presented in an international conference held in Malta in 2008 and is also a member of the executive committee of the Malta Society for Educational Administration and Management (MSEAM). He is also a part time lecturer within the Faculty of Education at the University of Malta. Graduated from the University of Malta in 2001 with a B.Ed. (Hons.) degree specialising in the teaching of History. He holds a Master Degree in European Studies from the University of Malta. He taught History for 10 years in state schools and has worked as a Research Assistant within the Department of Research and Development within the Directorate for Quality and Standards in Education. In 2010 he was appointed Education Officer (Research and Statistics) with the main responsibility to coordinate and administer international studies such as PISA, TIMSS, PIRLS, TALIS, ESLC and ICCS. He was appointed Secretary to the Council for the Teaching Profession in July 2013. He has delivered professional development sessions in schools about the role of the Council for the Teaching Profession and the Teachers’ Code of Ethics and Practice. Dr Rose Anne Cuschieri was conferred with a Doctorate of Education from the University of Sheffield in 2008. Prior to this, she read for a Bachelor Degree in Youth and Community studies with the University of Malta, and for a Master Degree in Educational Management and leadership with the University of Sheffield. She is presently the Director for Educational Services within the Secretariat for Catholic Education in Malta. 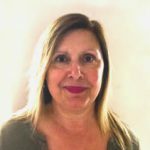 She is also a part-time lecturer and tutor, dissertation supervisor and reader within the Faculty of Education at the University of Malta. For a number of years she was involved in seminars and training for young people and adults with the Employment and Training Corporation. Since 1999, she has been lecturing Leadership, Management and Interpersonal Skills at the Malta Police Academy to recruits, prospective sergeants and officer cadets. Dr Cuschieri is also a free-lance trainer and lecturer in leadership, motivation and stress. She is the author of several articles in both local and foreign educational and management journals and books. She has written and presented several refereed papers in different prestigious conferences both locally and abroad (United Kingdom, China, Russia, Australia, Cyrpus, Austria, Ireland). 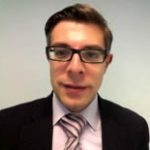 Dr Cuschieri is a member of the Malta Society for Educational Administration and Management, a member of the British Educational Research Association, member of the British Educational Leadership, Management and Administration Society. She was also appointed first civilian Maltese member of the International Police Association. She is also an abstract referee for the British Educational Research Association. This course has been extremely valuable to me. It has a comprehensive approach to management and leadership and has helped me become more rounded as a manager. The lecturers were very knowledgeable and they ensured to make each session interactive. I definitely recommend it. It was a nice experience since it had given me the opportunity to broaden my knowledge in relation to leadership, financial and managerial skills, all essential to manage and lead a school institution. Very friendly atmosphere. Chosen lecturers were very knowledgeable about their respective subject/s presented. The course was very interesting and most of the lectures related directly to our workplace, so we could easily picture what the lecturer was explaining. It was also useful to have speakers from different areas. In fact we also had visits from an MUT member and from the Council for the teaching profession. The timeframe to prepare for the assignment and exam was also flexible and reasonable. An insightful course in management and administration focusing on the Maltese Education System. A great atmosphere with excellent guidance. Particularly useful for those considering advancing and understanding an administrative and management position.